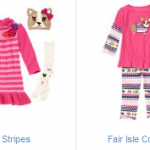 You are here: Home / online shopping / Gymboree 50% off sale plus FREE SHIPPING! 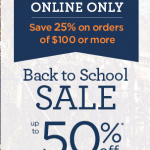 Gymboree 50% off sale plus FREE SHIPPING! Gymboree is having a huge sale right now! Save up to 50% off regular-priced items during the back to school sale! This is a great time to stock up on clothing for fall! They’ve got shirts starting at $3.99! Plus, you’ll get free shipping, too! There are no minimum purchase requirements for the free shipping offer! 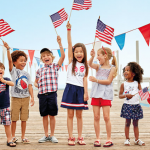 Gymboree 4th of July Sale: everything is 40% off! 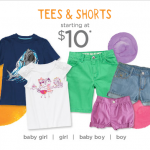 Gymboree Jingle Deals have started!